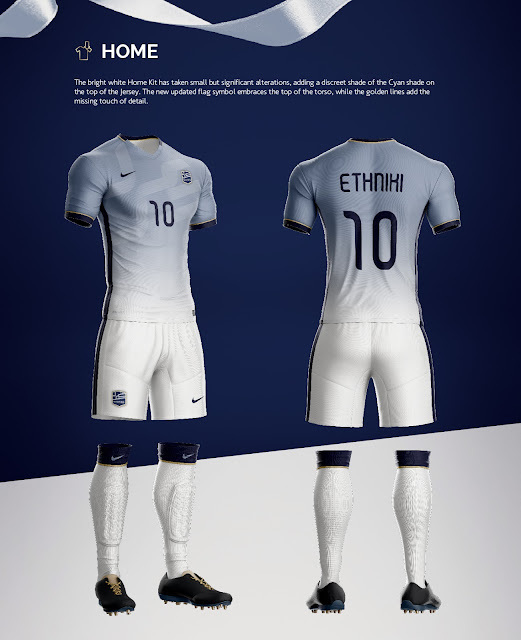 Today's Concept entry comes to us via Greek artist / designer Vassilis Dimitros who has taken on his nation's national team as the subject of one of his latest projects. 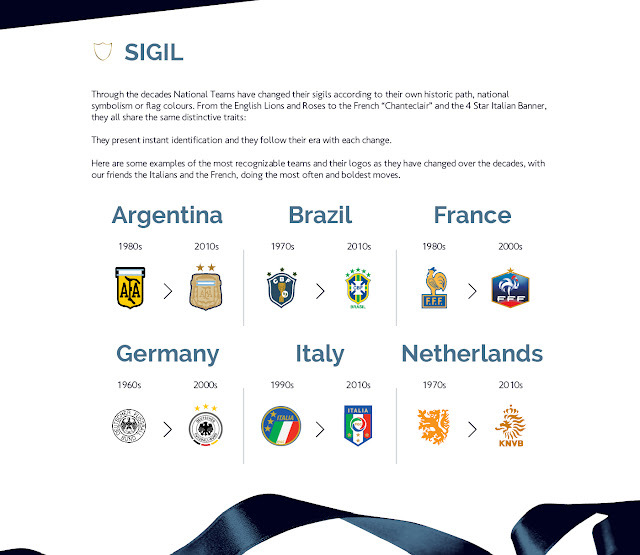 It comes as no surprise that modern football design is having the same amount of evolution as the sport itself. 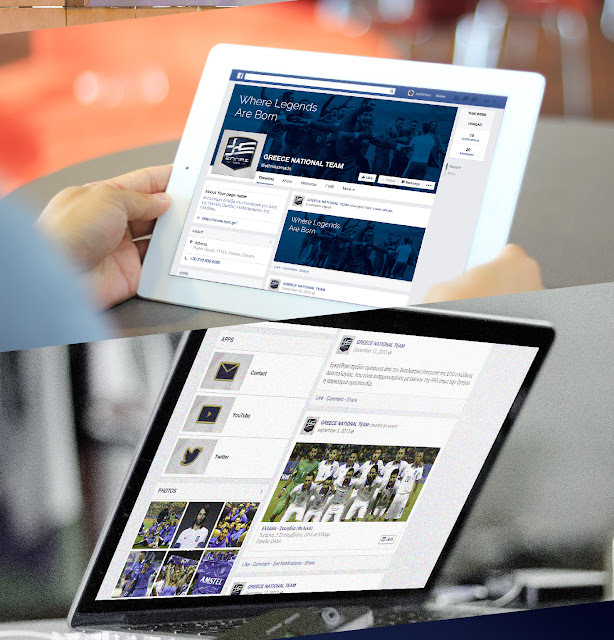 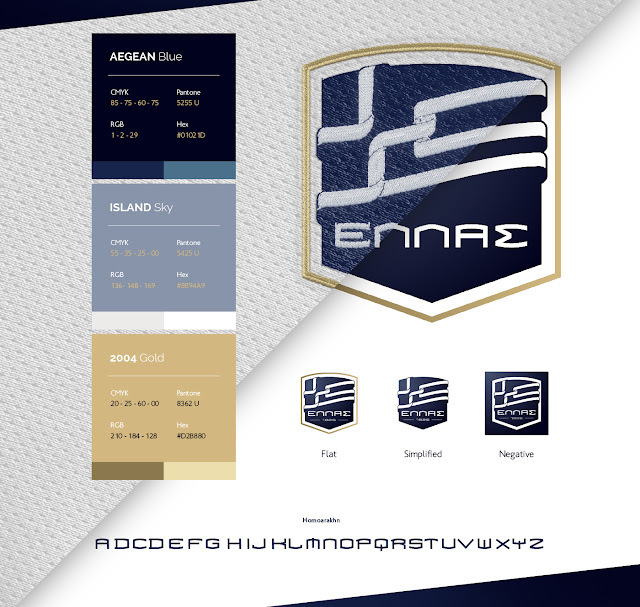 Teams, both on National and Club level, spend a lot of effort building their image, with sport brand titans like Nike and Adidas, updating their products on a yearly basis, and teams rebranding their visual IDs from tournament to tournament. 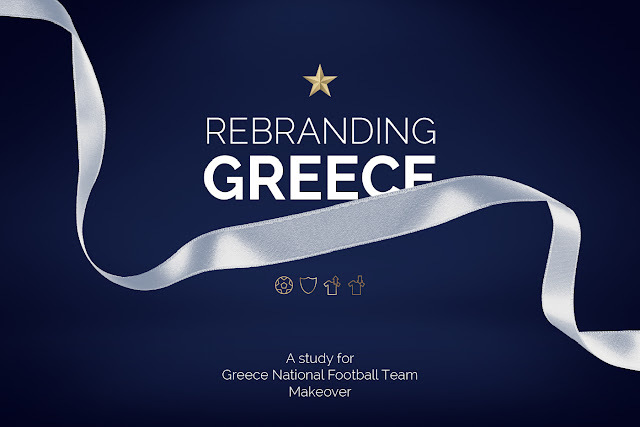 The Greek National team has been making the same efforts in the last few years, but still has a lot of ground to cover, to visually reach a modern age team. 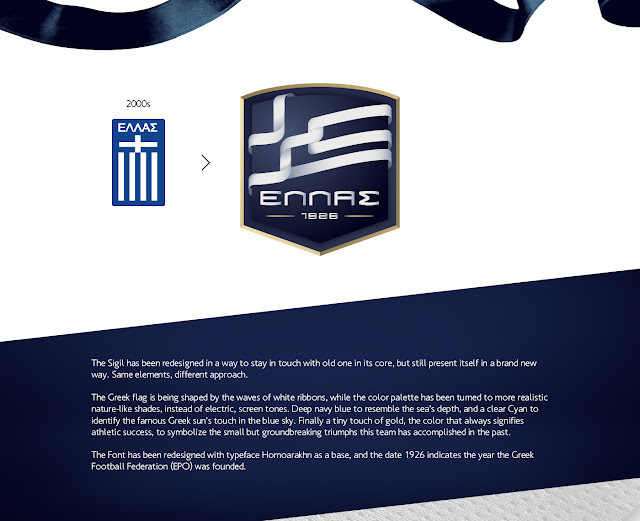 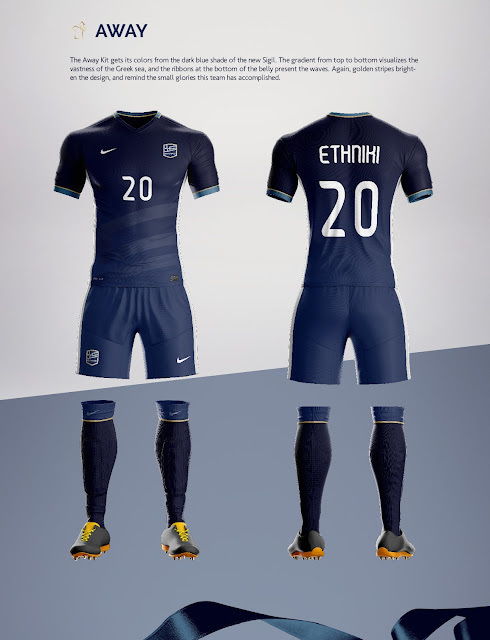 The following study provides an almost brand new look the “Ethinki” needs, to retouch itself in the eyes of the fans both domestic and worldwide, from the team Sigil to the Jerseys and the promotional material itself. 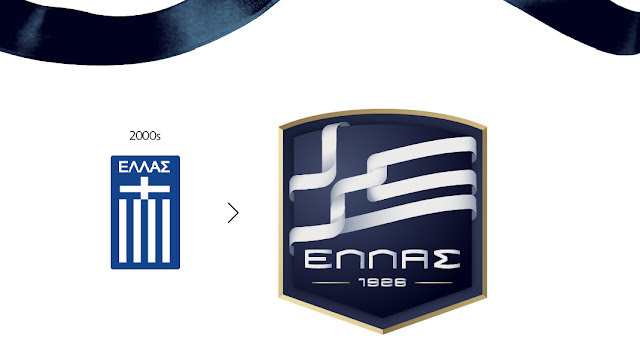 Yeah... All the 'before' crests look better, if you are 85 years old, with one, half-blind eye!